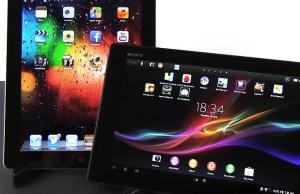 Planning to get an Apple iPad in the near future or perhaps you’re one of the tens of millions who already bought one? Well, that’s a good choice, this device is really a wonderful piece of tech. I have an iPad 2 and one of these new iPads myself and use them daily. However, with their big displays and the slim bodies, I find the iPads a bit fragile, despite their aluminum backs, thus I for one always use a case on my tablets. Just because I want to keep them in good shape for a longer time. I got to test a bunch of cases and covers for the iPads in these last years, and in this post I’ve gathered a couple of the best iPad cases and covers money could buy right now. 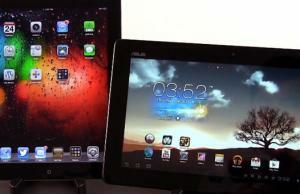 Most are compatible with the latest iPad 3 and the iPad 2, while some will even work with the original iPad. There are many types of such accessories listed in this post, from the official cases made by Apple, to leather and neoprene ones from famous brands like Belkin, Griffin or Otterbox, and to screen protectors and cool waterproof covers you’ll love when going outside with your gadget. You can see the top options for each of those in the categories below. Important: This post contains a mix of my favorite cases for Apple’s iPads. Most of them will work with either the iPad 2 or the latest iPad. The cases and the other protections accessories are listed based on a couple of criteria, so scroll down towards the end of the post to see all the available picks. The iPad is for sure a stlylish gadget, so perhaps the best way to protect it is to dress it in a fancy leather case, right? At least that’s what I use for my tablets. 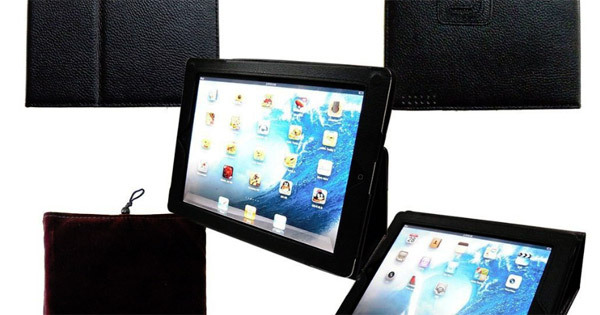 In this section I’m going to present you some of the best such leather covers available for the iPad. Scroll down further and you’ll find other types of cases too. This is actually the case I personally use on my iPad 2 and my iPad 3 (yes, I bought one for the new tablet as well) and you can read more about it in my dedicated review also posted here on the site, which includes photos, video and a comparison with a cheaper leather cover. I find it very reliable, decently fancy and just ergonomic enough for my daily needs. It’s not the most beautiful or the most stylish leather cover out there, but it is affordable and for its price, you’ll hardly find anything better. See this link for more details. Snugg also ship their products worldwide btw, just in case you’re not living in the US. This one is not actually a case, but it’s a fancy cover that i like a lot. The Leather Shield is in fact a soft skin meant to protect the back of your iPad, but unlike others, it’s made of high-quality genuine leather and does not add bulk to the sleek shape of the tablet. Of course, it adheres perfectly to the device and is excellently built, plus it ads a bit of sophistication to your gadget. It is available in many colors and different versions (styles), with prices ranging from $19.99 and going up to $49.99. More details are available via this link. You just have to select the iPad version you own from the configurator on that page to get all the options available for that tablet. Oh, and you can always pack this leather skin with the Zagg InvisibleShield (the iPad screen protector that I use – see details about it here or further below in this post) for a complete and sleek protection solution (not against shocks though). Many of you probably love the sleek shape of the 2nd generation iPad and would love to get some protection accessories for it, but hate those that add bulk to its body (like most do). 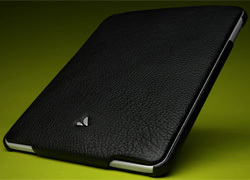 Here’s where this cover called Toblino 2 comes in play, one of the sleekest leather folios available right now for the iPad 2. And while designed for the iPad 2, it will work for the iPad 3 (but it won’t automatically wake-up the tablet when lifting the screen-cover). Now, this is a not a tough case, but will be able to protect your iPad from scratches and fingerprints, while offering it a better grip that would be handy during everyday use. While the exterior is made from black high-quality leather, the interior is padded is soft microfiber to keep your gadget safe. 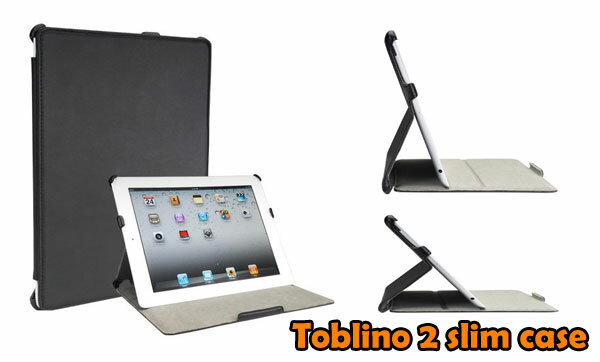 And besides protecting your tablet, this one will also act as an adjustable stand, with multiple viewing angles. The Toblino 2 case retails for around 50 bucks, but you can get it online for a little bit less. See this link for extra details, reviews from buyers and pictures. RooCase offers a bunch of different cases compatible with all the iPad generations and all of them are quite popular amongst buyers. My personal favorites are their convertible folios and executive portfolios with zipper closing, both made form genuine leather and with exceptional care for details. The convertible leather cases comes in a bunch of colors but I feel that the red one is extremely stylish, and besides protecting your iPad, it also comes with 24 angles adjustable stand. More details about it via this link. The leather portfolio is meant for those traveling a lot with their iPads and includes a standard leather case without a folio for the screen, and also an exterior enclosure closed with zippers, as you can see in the picture below. So definitely a very nice option. More details about it via this link. Bear Motion might not say much as a brand, but their iPad cases are currently some of the best sold and the most popular (based on reviews and marks) leather cases for Apple’s tablets on Amazon.com, and that speaks highly of their quality. We’re talking about a standard leather folio that can act as a horizontal/vertical stand as well, so it holds and protects the tablet, while allowing you to use it easier during your everyday tasks. There are a bunch of similarly designed cases on the market, what makes this one better is the quality of the leather used for the exterior (high grain 100% genuine cowhide leather), the fact that the interior is also padded in soft leather and its overall reliability. The Bear Motion Folios are compatible with the latest iPad 3 and the iPad 2 and are available in a bunch of different colors, including black, red, yellow or green. They sell for less than $30, but more details, including pics, reviews and the option to buy one of these cases, are available via this link. Of course, these are just some of my recommended leather cases and folios for the iPads. As you saw, most are compatible with the latest iPad generation and are decently affordable, going for between 20 to 50 bucks each. If you want some fancier leather covers for your Apple tablet, there’s a section on luxury cases below in this post. Otherwise, if you’re just looking for other popular leather cases for the Apple iPad, see this link and judge each offering by the reviews and the marks scored with those who already bought them. Rugged silicone/rubber covers are meant to protect your tablet a bit better than the leather jackets above. Rugged covers usually come with a thin film screen protector and a hard protective surface that encases the rest of the body. They will make your iPads somewhat bulkier, but will also offer way better protection than the leather cases do. Below you can find my recommended cases in this section right now. When speaking about toughness and reliability, Otterbox protection accessories are the top of the class. They are pricey, but they are simply top notch and probably your best picks if you want a rough case that will protect the device inside as good as such an accessory can. The Defender combines a tough plastic inner shell with a silicone exterior layer for proper impact protection. It also comes with a thin film screen protector and a detachable screen cover that acts like a stand when using your iPad. It’s not meant to protect your device from water though and offers no rubber covers for the buttons and ports, but for the daily shocks and bumps, I feel like this is the most solid iPad cover out there. The Otterbox Defender case is available for the iPad 2 and the latest iPad 3 and it managed to score very good reviews with those who already bought it. It’s list price is quite high, at about $100, but Amazon.com offers it greatly discounted. See the link for more details, pics, reviews and the option to buy a Defender for your own iPad. Otterbox still sells their original iPad defender as well, and that one is actually even cheaper. Just as the Otterbox Defender above, the Griffin Survivor is a proper tough-case for your iPad, compatible with the latest generation of this tablet, but also with the iPad 2. It is however a bit cheaper than the Otterbox and comes in two color options: black and pink. The Survivior is pretty tough. It has an enforced internal frame which allows your iPad to survive drops from up to 6 feet high (nearly 2 m). All the ports are sealed, to prevent dust or watter getting inside and a screen cover is included in the pack as well. In fact, the Griffin Survivor is designed to be used by military forces and has to meet a bunch of different regulations for that. All in all, this is a very tough iPad cover and it’s actually more massive then the Otterbox Defender. But it’s cheaper as well, going for about $40 bucks online, although it’s list price is set at $80. See this link for more details about the Griffin Survivor, plus reviews from those who own it and the options to buy one yourself. The iPad comes with a 9.7 inch display you’re going to use all day long. And while covered in tough glass, resistant to scratches and fingerprints, it would be wise to protect it anyway. And the best way to do this is using some thin film screen protectors. There aren’t many options available on the market right now for such protection accessories, but my personal favorite is the Zagg InvisibleShield, starting $29.99 (non-glare versions go for $34.99). I’ve been using the InvisibleShield for my iPod Touch for years now and i can say for sure this is the best in its class. Tough and reliable, the Zagg Shield will simply not scratch. It is made of army graded thin film and comes with lifetime warranty (as in, Zagg will replace it for you for Free if it ever gets scratched). I also use the Zagg shields on my iPads nowadays too and I’m completely satisfied with them. The InvisibleShield is very easy to get on your device, although requires some attention (you’ll find tutorials on Youtube on how to put it on easily) and it won’t affect the sensitivity of the screen or the color, like other screen-covers do. And yes, it is a bit more expensive than its competitors, but it’s a Zagg, and I’m pretty sure you’ve all heard just how good their products are. One more thing, the Zagg Shield also comes as a Full Body Armor, with protection for the display, but also for the back aluminum casing and the sides, starting at $39.99. 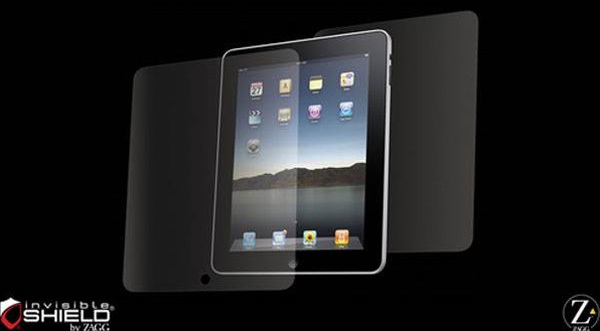 The Zagg Invisible Shields are available for the original iPad , the iPad 2 and the latest iPad 3 as well, with prices starting at about 30 bucks. See those links for more details. If you don’t feel like spending $30 bucks for a screen protector (although the Zagg Shields are really worth their money, I’m using them and I stay 100% behind them), you can find decent options for less. Acase, Belkin, ArmorSuit or amCase have quite appreciated products in this class, going for between 10 to 20 bucks, and they’ll work with all the iPad versions released so far. 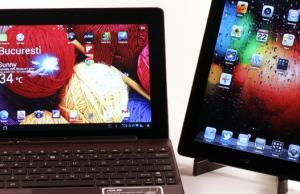 See this link for details about those and some other popular thin film covers for Apple’s tablet. If you want to use your Apple tablet for creating text, then you will definitely need a keyboard for that. You have two options: buy a wireless keyboard and place your iPad on a stand at home, or even better, pick one of these new cases that also include a wireless keyboard, so you can have it with you wherever you might go. Below you will find a couple of good options for such accessories. This is probably the best portable wireless keyboard you can get for your iPads right now. It works with all the available generations of the iPad (but there are different versions for each of them) and provides an excellent method for you to input text on the Apple tablets. The keyboard is very easy to turn on and off and the keys are properly sized, with enough space between them and pace to be comfortably used everyday. 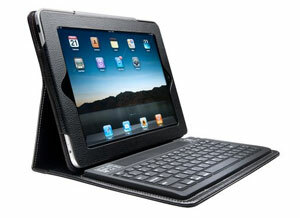 The ZaggFolio is after all made with close support from Logitech and they are known for excellent such accessories. The ZaggFolios are in fact some hard-shell covers wrapped in either leather or polyurethane that include a specially designed Bluetooth Keyboard, which you can actually remove when you’re not going to need it. The ZaggFolios are a bit more expensive than some of the other keyboard-cases for the iPads, going for $99, but if you’ll read what those who already bought them have to say about them, you’ll see how good they are and how they’re worth every penny. See this links for more details about the ZaggFolios or for the options to buy one for your iPad. Zagg also sells some other good keyboard-cases for the iPads, like the famous Logitech Case by Zagg, with a durable aluminum body, or the ZAGGKeys keyboards . Check out the links for details on each of them. The biggest problem with the Zagg case is of course its hefty price tag. Thus, if you want another option for a good keyboard case, this one from Kensington should be on your list as well. It is a leather case that also holds a Bluetooth keyboard inside. It is comfortable to use and overall OK, although your typing experience will be poorer than what you get on the Zagg keyboards above (at least that’s what I felt when I got to test them). Still, the Kensington pack is significantly cheaper and this should have a massive impact on the final decision. More details, pictures and reviews are available via this link, so go ahead and click it if you find the Kensington keyboard cover interesting. Bear in mind though that this only works with the latest generation of the iPad and the iPad 2, but there is also a version designed to work with the original iPad. The zip iPad sleeves are usually made of nylon, neoprene or suede and provide enough cushioning for safely transporting the iPad in most conditions. The ones presented here will work with all the available iPads and are ideal when traveling and in need of just a bit of extra protection for your tablet. CaseCrown Suede Zip Sleve – at the moment my favorite case in terms of looks and price/features rapport, this CaseCrown sleeve comes with a premium faux suede exterior and scratch resistant interior to provide great protection for your iPad. Has a zipper, so access to the interior space is facile and also offer an exterior pocket where you can store your iPad’s accessories. It’s also available in many different cool colors and comes with a great price (now greatly discounted). Surely a case you must check out. Belkin Max Sleeve for iPad – pretty expensive but backed up by the Belkin name, this neoprene zipper case is one of the best existing sleeves at providing ultimate protection for your iPad, with a solid cushioning surface and reinforced panel for extra-screen protection. Will be available in a couple of different colors. This is just one of the first Sleeves Belkin prepares for this Apple gadget, more are to come in the near future, with extra features. iLuv Foam-Padded neoprene sleeve – a decently looking sleeve made from water-resistant neoprene and available in a bunch of different colors. It’s interior is padded in thin plus and the memory foam will protect the tablet even better when you’ll throw it in your back-pack. rooCase Super Bubble – another neoprene sleeve, slightly better looking than the iLuv above and just as cheap. It comes with a black and red/green/orange or purple neoprene exterior and the interior is protected by some shock absorbing foam bubbles. You also get a velcro pocket on the outside, for your headphones or charger. CaseCrown vertical bag – a premium carrying bag for your Apple iPad and iPad 2, this CaseCrown accessory not only does a great job at protecting your device, but also looks great and is very customizable. It can fit any gadget up to 10.2 inches big (so even a netbook) and comes with lots of extra storage room. And, as you can see from the picture, is not bulky at all. All these, plus the big discount offered by Amazon for it right now, make this CaseCrown messenger bag an option you should definitely consider. Targus Crave Slipcase – if you want something cheaper, this Targus arm-bag specially designed for the iPad would be a nice pick. The exterior is made of a water resistant fabric which has been coated against scratches, dust and stains. The interior uses double foam padding to protect your iPad even from shocks and drops. More details by clicking the link on this bag’s name. All in all though, this slipcase is a great choice for good money, as long as you don’t mind the fact that you can’t carry it on your shoulder. 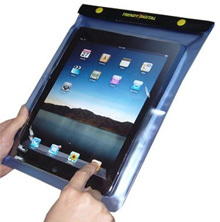 Waterproof cases for the Apple iPad are hard to find and in most cases are not great looking. However, there are options, like the TrendyDigital WaterGuard Waterproof Case. As you can see from the picture, it’s more like a bag than a case, but will be perfect when you’ll want to use your iPad at the beach, pool or during a cruise. So not an everyday protection accessory, but ideal if you’re planning to get your iPad wet. The surface of the bag is made of a soft clear material and the upper closure is a double ziplock one that folds over itself a couple of times and uses and overflap fixed with two plastic snaps. So there’s no way water can get inside, but that doesn’t mean you should throw the iPad in the pool, this case is made to protect it from accidental splashes and rain drops. With such a fancy gadget, I’ll bet some of you would want an exclusive, even luxurious, cover for your device. Hence, the protection accessories you are going to find below, only a few of these fancy covers, but perhaps the best available at the moment. They are all made of genuine high quality leather and most of them are hand-crafted by skilled artisans. This way, they are not only unique and very good looking, but also reliable. In fact, genuine leather products, if treated the right way and properly maintained, can remain with you for a lifetime. I’m sure I grabbed your attention, so better take a look at the products below. 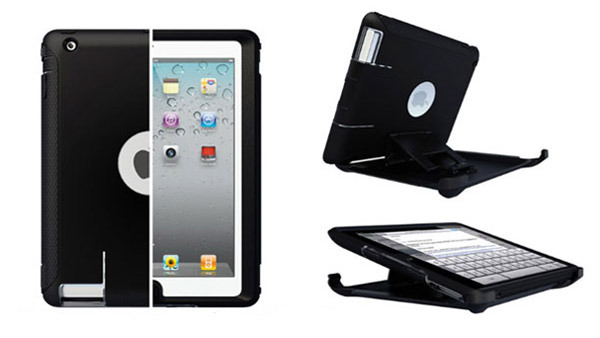 Vaja cases for Apple iPads – from $100 to $300 – Well, yes, as you can see, these covers are expensive. But there are a couple of good reasons for that. First, these are by far the best looking cases I ever saw. Then, the leather used for them is selected full grain cowhide from bovines in Argentina. Each hide is inspected for the tiniest imperfections and only those skins that pass all the tests get to be used on these cases. Also, products are handcrafted and Vaja come with a name in this field, being one of the most notorious leather accessories producers in the world. They offer in fact a couple of different cases for the iPad. Entry lines, like the Vaja iVolution model, come with protection for the front and the back, with the clipable front side being easy to remove and attach to the back when using he device. Piel Frama iPad covers – from $79 – Piel Frama are other notorious producers in this field. They are based in Spain and their products are also top notch in every way, but more affordable than the Vajas. Piel Frama covers come in lots of different finishing options and colors, from plain leather to crocodile or ostrich skin designs and can also be used as stands. More about these in my other post about Piel Frama iPad cases here on the site. Targus Hughes slipcase for iPads – this one is fancy. If you’re a business person and look for an iPad, this case is a must for you. The build quality is as high as it can be, the exterior is made from oil tanned premium leather and the soft interior is perfectly tailored for the iPad (works with all the available generations). You also get a nice magnetic lock and all kind of compartments for your other accessories. As you can see, this is more a carrying folio for your gadget, so you will also need a screen protector when using it. But for its looks, reliability and the fact that it comes with Lifetime warranty, it is well worth the 50 bucks it costs. See the link on this case’s name for more details, reviews and the option to buy one. All the protection accessories showcased here are top notch and recommended by the marks and the reviews received from those who already own them. I’ve tried to cover all existing types of such iPad cases, so each and one of you could find something interesting in here. Now, from all of them, my ideal protection consists of a non-glare Zagg InvisibleShield, to protect the screen from dust and scratches, plus an actual case. Right now, for my iPad 2 I use a Snugg leather folio that also acts as a stand, plus a Zagg InvisibleShield non-glare protector for the display and I’m actually completely satisfied with this setup. Update: I also bought the Snugg for the iPad 3 and it’s as good as before. I’ve tried as well some of the other cases I mentioned here in this article and most of them were quite good, but none of them convinced me to drop the Snugg. I’m a big fan of leather cases though, keep that in mind, cause you might be looking at some of the other types of covers listed above. 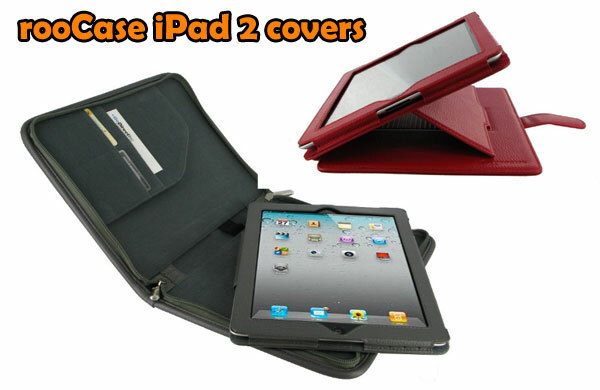 That’s about it with this list of best iPad 2, iPad 3 and original iPad cases, cool covers and protection accessories. Like you can see, this is not a top, it’s a list where you should be able to find the right product for you, according to your requirements, taste and budget. If you have yet to find anything interesting in here, you could also take a look at this list of best selling iPad covers on Amazon, daily updated with new products. Of course, in time this post will get updated with more devices, as I’ll get my hands on more high quality iPad protectors. So you should bookmark the post and check it out periodically for changes. Also, prices will vary in time, so be sure to click the links for the products you might be interested on for the up-to-date details. Of course, don’t hesitate to post your comments if you have any suggestions or questions. I’m here to help. Great review, thanks! Do you think you could fit an iPad with an otterbox case into the waterproof case – offering protection from bumps and water? A bit excessive perhaps but the waterproof case seems to have limited protection eg if I drop it poolside, rather than in the water. Also would the functionality of the iPad be limited with essentially two cases?!? Agree, a great review. I’m looking at getting my autistic son an iPad, and silcone doesn’t look like enough. Big and bulky doesn’t matter as long as it’s protected. It may be riding on the bus to school with him! Can you give me an opinion on some of the “hard” shell cases at boxwave? memory foam inside of a durable nylon case. Thanks! They are not bad Sharon, however my money are on the Otterbox cases if looking for maximum protection. The Defender is top notch and the Commuter is up there also. There are merits in the original Apple fold-over case. First off, it’s very light and thin. Secondly, it gives all round protection, though does not cover the screen securely. A few days ago my iPad fell a short distance out of a bag onto a concrete floor. Fortunately the screen flap didn’t go the wrong way, and the screen is OK. I’m pretty sure the iPad survived. Many of the other iPad cases/covers are exposed at the corners, so an accident such as I had would very likely cause damage at the edges. Looking back, a £30 outlay against possible damage to a £700 devices doesn’t seem so bad. However, to be really sure, put an elastic band round the Apple iPad cover when travelling. If you always carry your iPad in another case this won’t perhaps matter to you, but you’d better make sure you never drop yours on concrete. What a fascinating collection of cases. I love the luxurious leather versions. I had no idea about these upscale options. I will follow you guys on Facebook.